Healthcare brands are finally hitting their stride with digital video. Organizations of all sizes are now consistently producing high-quality, compelling pieces across the full spectrum of formats, from quick clips to long-form features. Moreover, healthcare marketers are starting to utilize emerging tools and technologies, including live-streaming and immersive storytelling, in all sorts of creative ways. If your brand is looking to create more video—and better video—we suggest taking a look at the pieces from the healthcare organizations below. This list is by no means a ranking, but rather a cross-section of some of the great things that are happening in the space right now. The Mayo Clinic has figured out something on digital that television advertisers have long known: you can do a lot with 60 seconds or less. The organization’s Minute series is exactly what it sounds like. In a short video, usually right around a minute in length, the creators tackle a health-related issue. The pieces span a wide-range of topic areas—from understanding the benefits of petroleum jelly to learning how to prevent peanut allergies—and are quick, simple, and informative. Healthcare videos don’t have to be boring. Many of the topics in the space are of deep interest to consumers, and they can be highly compelling if tackled in a creative way. A great example of this in action is the Dr. Pimple Popper YouTube channel, which features Dr. Sandra Lee, a board-certified dermatologist, explaining and showcasing skin issues. What makes the videos great is that Dr. Lee doesn’t shy away from being fun and a little gross. Rather, she embraces it in everything, from her titles (“Don’t Be Such a CYSTIE! !”) to the pimple-popping content itself (“My First INFLAMED Pilar Cyst! A Popaholic Squeeze!”). Live content can be difficult for healthcare brands. Between privacy concerns, busy schedules, and other issues, it often can be hard to find good opportunities to stream. What organizations sometimes forget is that there’s a whole world of other things to cover besides just services and products. 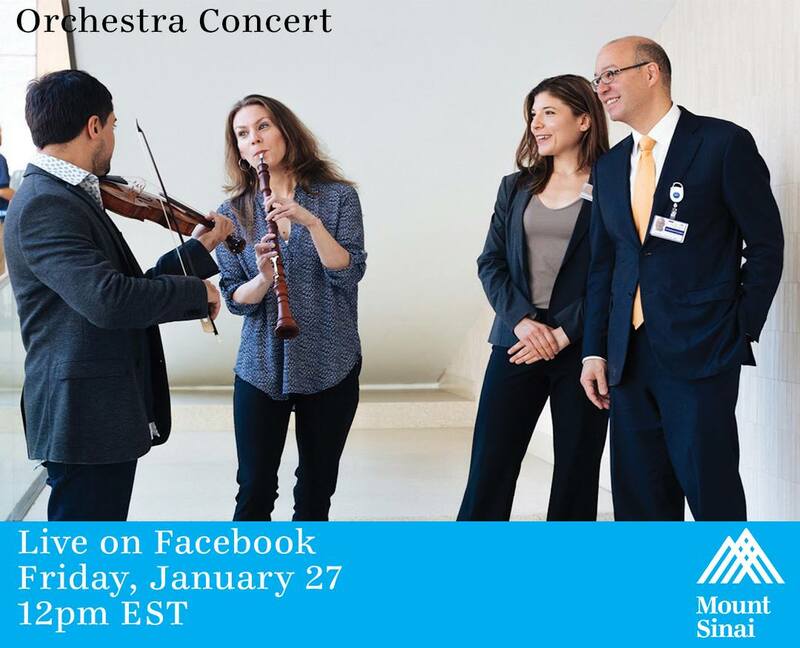 A perfect case in point is Mount Sinai’s recent livestream of four of its doctors playing a free baroque chamber music concerts for staff, patients, and visitors. The event wasn’t necessarily related directly to what the organization does, but it was deeply engaging. Moreover, it helped the hospital’s brand by showcasing that its physicians are interesting, accomplished, and compassionate. The world of digital video is evolving rapidly, and these new technologies are set to have a tremendous impact on both healthcare offerings and healthcare marketing. While many of the tools and approaches, such as virtual and augmented reality, are still in the early stages, some of the potential is already becoming apparent. For example, Medical Realities, a firm specializing new virtual surgical training techniques, created the 360-degree operation simulation video below with the Royal London Hospital. The experience allows the viewer to scan around the operating room, and even switch perspectives from the doctors to the patient. Often what people want most from healthcare organizations is clear, easy-to-understand information. With its “What to Expect When Your Child Undergoes Heart Surgery” video, the Miami Children’s Hospital serves this need beautifully. The piece walks viewers through the entire process, from pre-op to post-op. What makes the offering truly exceptional is that it’s beautifully produced, and that the organization prioritized including the actual staff members in the video—from the head of the department to the nurse practitioners. Want your videos to connect with their intended audiences? Then make the content relatable. Aetna shows how to do this well with its Mindfulness video series. The pieces cover a range of formats, from direct explanations on how to perform calming exercises to promos for the company’s wellness offerings. The most engaging elements may be the Mommy Shorts videos, which showcase how a busy parent strives to find ways to connect with herself and her kids throughout the day. It’s a relatable message that is certain to resonate with many watchers. Whether it’s for products, services, or procedures, consumers want to understand how things work. That’s why explainer videos are critical to businesses of all sorts, including healthcare brands. Omada, a digital therapeutics firm, is a new company in a new completely new field. Given that, it needs to be able to clearly convey what it does, and how, in a relatively short amount of time with its intro video. The Omada Experience piece tackles this difficult task extremely well. With a combination of animations, actors, and demos, the company is able to explain its mission and product in a compelling way. Healthcare covers a staggeringly wide range of topics. While this breadth of options can make video creation feel daunting, it’s also a huge opportunity for brands in the space. Because consumers view so many things as related to health and wellness, healthcare organizations have license to develop all sorts of content. For example, St. Elizabeth Healthcare has found success by creating its own healthy recipe videos. Each dish—ranging from zucchini salad to frozen yogurt cupcakes—is short, simple, and promotes healthy eating. The foundation of great content is the same across all formats: great storytelling. This holds true for healthcare videos as much as for anything else. The video below from Bupa UK’s dental offices shows exactly how powerful good storytelling can be. By creatively telling the story of what happens when the tooth fairy comes to visit, the brand is able to capture the imaginations of adults and children alike. That essential quality—that the piece is able to spark emotion and curiosity—is why it has amassed more than 1 million views on YouTube alone. Finally, a reminder that videos don’t have to be massive undertakings. Given that attention spans are shortening, and that social networks are evolving toward in-platform video experiences, ultra-short pieces are becoming more important than ever. One healthcare organization that’s understood this trend for a while, and is now doubling-down on it, is Walgreens. The brand does an excellent job of regularly posting little videos/animated GIFs to social media. These pieces range in purpose—from promoting flu shots to celebrating holidays—but they are consistently fun and visually compelling. Watch for the latest trends in healthcare marketing. Contact MDG Advertising today at 561-338-7797 or visit mdgadvertising.com.